The Empire United Rochester Boys U13 team coached by Ken Wilkin advanced to the Final at the Region I Championships. The boys dropped their first game to the Connecticut State Champion - Shoreline FC Porto 2-1. On day 2, the team bounced back strong with a 4-0 victory against the Delaware State Champion - DE Rush 02. Needing a win on Sunday against the Region I defending champion and State Champion PDA Drogba from NJ, the boys scored a goal either side of halftime to take a 2-0 lead. PDA scored with 5 minutes left to cut the deficit but the Empire boys did not yield another goal and with the victory, advanced to the semi-finals. This squad won two games and lost one, finishing top of their group and advanced to the semi-finals. The semi-final match up was against the Vermont State Champion Nordic 13 Boys Premier. Nordic advanced to the semi-finals winning 2 games and tying their third game and outscoring their opponents 9 to 2. In a game delayed due to storms in the area, Empire scored the lone goal of the game early in the second half and advanced to the finals with a 1-0 victory. 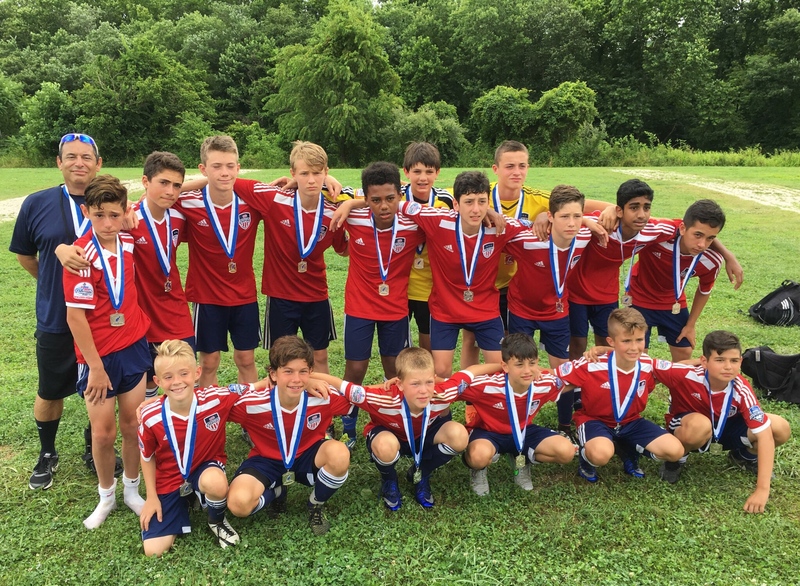 The Under-13 Boys final was a clash between two New York West teams. Empire United as the State Champion and SDA representing the Region I Champions League. Regardless of the outcome, a team from New York West would be participating in the US Youth Soccer National Championships in their first year of eligibility. The match was the fourth match between the two teams since April of this year. In the three previous matches, Empire United held a 2 game to 1 advantage. In the Championship game, Empire fell to SDA 4-0. The players would like to thank Coach Ken for guiding them throughout the year, and their families (parents, grandparents, siblings) for their continued support! The team has much to be proud of, finishing the season strongly.